Couture Creations Craft Mat. Non Stick. Reusable. Multi Purpuse. Protects you w..
Bella! distressing tool. Distress paper and more with BELLA! 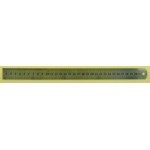 's distressing tool. 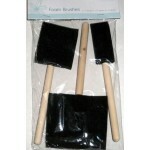 Inse..
Kaisercraft File set, 4 pack ..
Set of foam brushes from Kaisercraft. 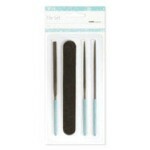 Set contains 1 x 1" brush, 1 x 2" brush and 1 x 3" brush. 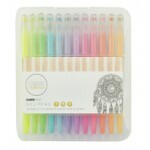 G..
KaiserColour Gel Pens set of 24. 12 pastel and 12 glitter. 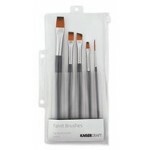 ..
Kaisercraft Paint Brushes flat tip mixed pack, contains 5 brushes ..
Bella! Sand paperz - 5 sheets. 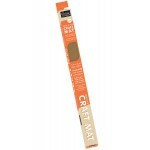 Distress your chipboard, paper, cardstock with this san..
Bella! sanding block. 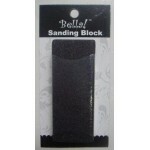 Use this sandin block for small and big projects. 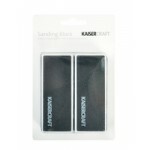 Smooth down t..
Kaisercraft sanding block. 2 pack. 2 sanding grits, fine, medium and coarse. 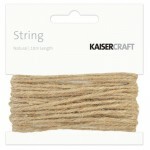 ..
Kaisercraft String - Natural. 10m length. ..